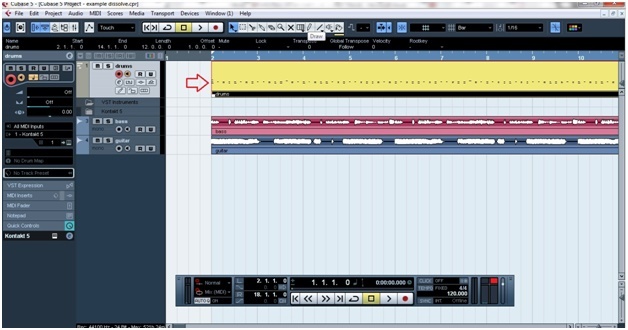 Today we will learn how to split a midi drum track into separate channels. It’s a typical situation: you have recorded a drum track using a VSTi and now you want to split each drum part into a different track, so that you can mix them properly. 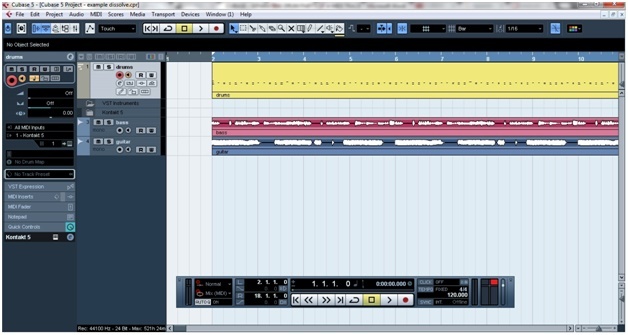 Mixing a drum kick is a lot more different from mixing a hi-hat or a snare, for example, that’s why the result of mixing midi drums as a single track doesn’t bring good results. 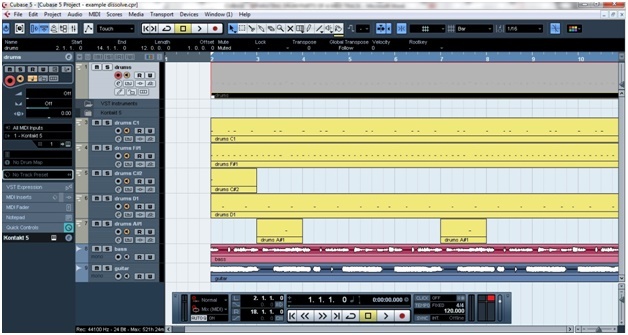 In the project above there are 2 audio tracks and the midi drum track. Notice that the drum part is recorded as a single track. 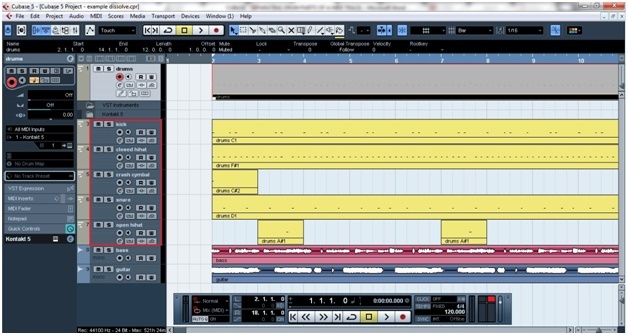 The idea is to split the drum track into different tracks, each one with a drum part. Choose ‘Separate Pitches’, ‘Optimized Display’ and then click ‘OK’. Of course, it’s not a rule, but usually, we arrange the drum tracks order starting with the kick, then snare, hi-hats, etc. That’s it! Each drum part will have its own track. 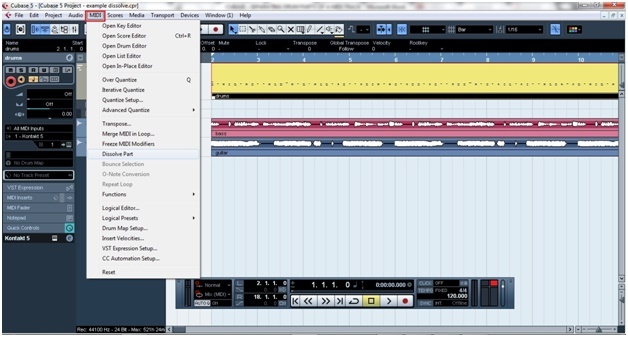 Now the midi parts are ready to be exported as audio files so that you can start the mixing process. 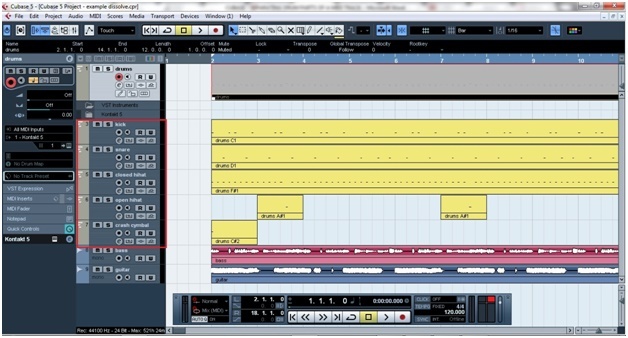 So, Cubase’s Dissolving command is the path to split a midi track into different channels. 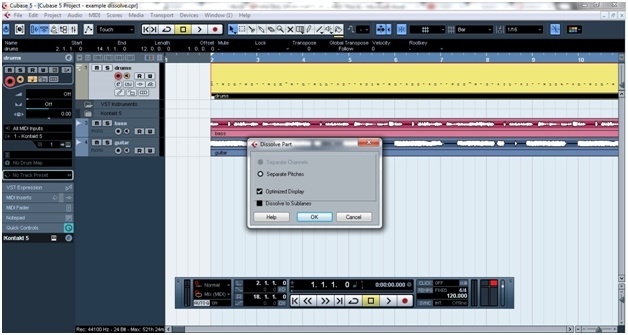 It will make it possible to work with midi drum tracks without having to split them one by one, which is extremely time-consuming.